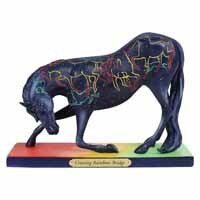 Crossing Rainbow Bridge | Painted Ponies Everyday Figurines | One Price Low Flat Shipping! 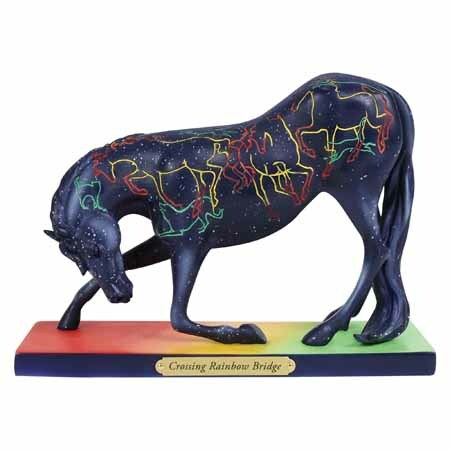 From the Trail of Painted Ponies 2018 Summer Set, Crossing Rainbow Bridge.Designed by acclaimed equine artist, Janee Hughes. Made of stone resin. Measures 6.5" tall. until the day comes when we are joyfully reunited with them. Then we cross over Rainbow Bridge together, never to be parted again.